What's Mass Effect 3 Mobile? 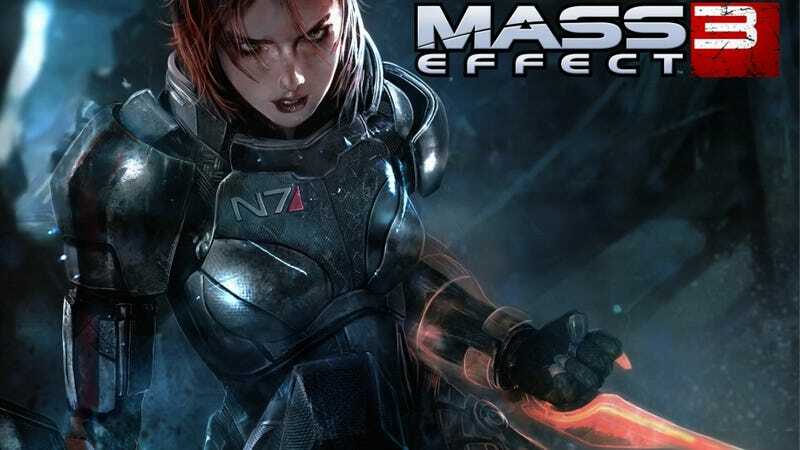 Every three months, game publisher EA tells the public that one of its upcoming games, Mass Effect 3 will be coming out for consoles (of course! ), PC (expected) and "handheld/mobile" (huh?). "There will be "handheld/mobile" products tied to Mass Effect 3, as noted in our past few earnings announcements. They are part of the Galaxy at War system. We will have more details to share soon." That's semi-helpful. Maybe it's a game. Maybe it's some sort of tracking app for the Galaxy at War element of Mass Effect 3. But what's Galaxy at War? It's a meta-game that connects single-player and multiplayer of Mass Effect 3, somehow inviting players into various missions that will more swiftly earn them enough "galactic readiness" points to get the game's best ending(s?). When EA reps first described this system to me it sounded like there could be a Facebook component, too, but that was just my speculation about which they'd only look at me with stone-faced expressions.